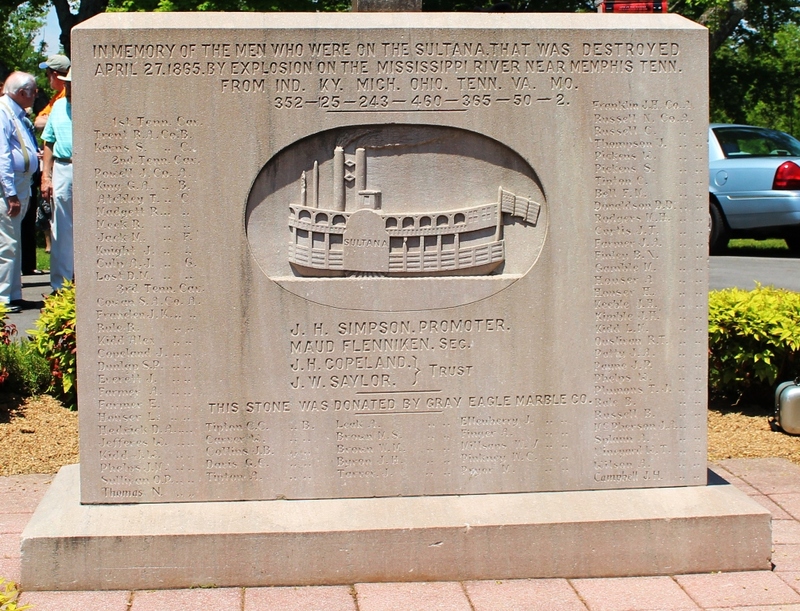 The sinking of the Sultana has been largely forgotten even though it ranks as the worst maritime disaster in United States military history with some 1,800 deaths. Most of the “passengers” on the steamboat were Union soldiers who had recently been released from Confederate prisons. Many were sick and malnourished and had been marched to the Mississippi River boat landing from which the Sultana departed with hopes of returning home to their loved ones. There were 2,400 passengers on board a boat that was built for only 376. But at $5 per head, the Captain wanted to “efficiently” load his vessel with as many “paying customers” as possible. The overcrowding led to the explosion of the ship’s four boilers that had been known to be defective and in need of repair. 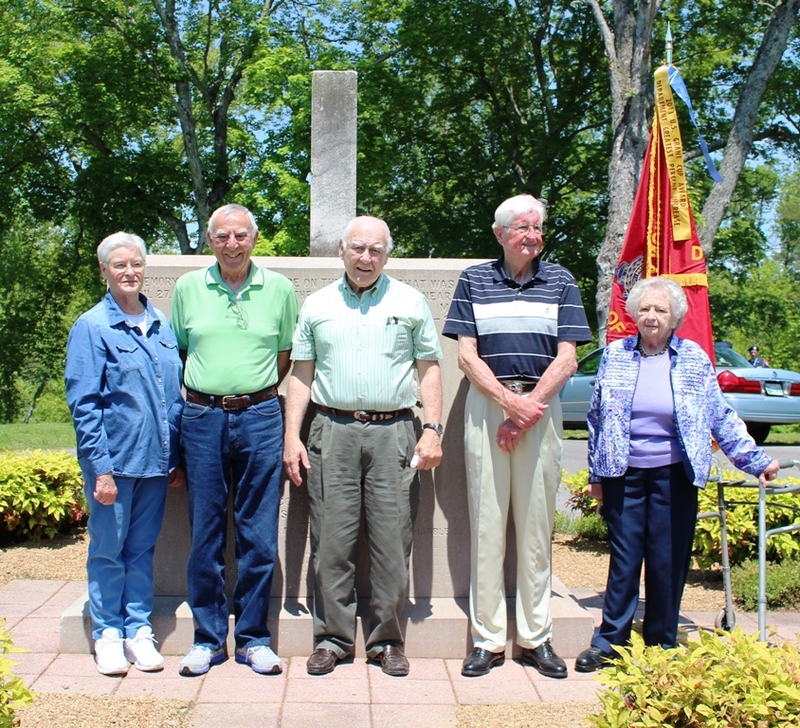 The survivors of the Sultana tragedy met in Knoxville in April of each year until only one veteran showed up in 1930. 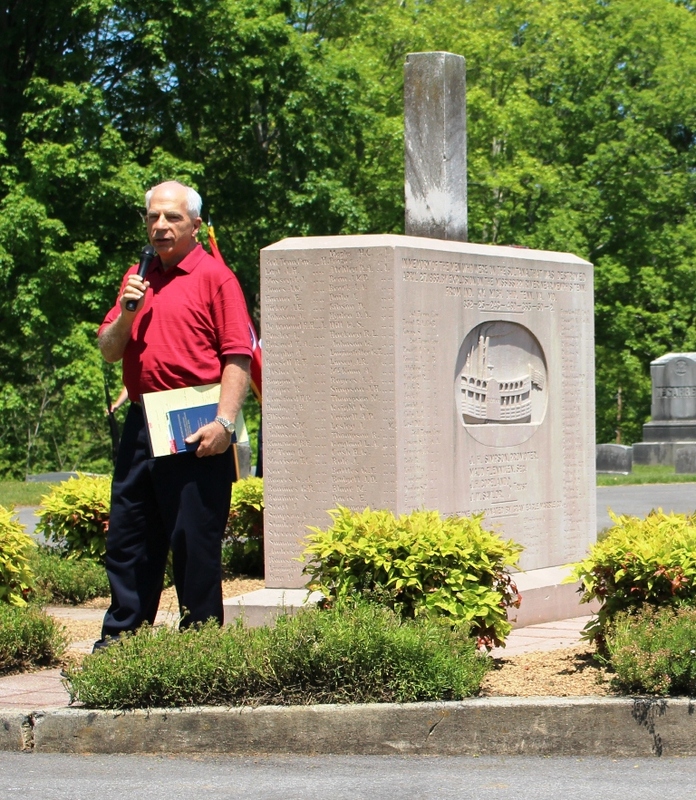 On July 4, 1916, survivors dedicated an impressive monument made of pink Tennessee marble in the Mount Olive Baptist Church Cemetery. But over time, despite the existence of excellent books and magazine articles written about the Sultana, it became largely forgotten. 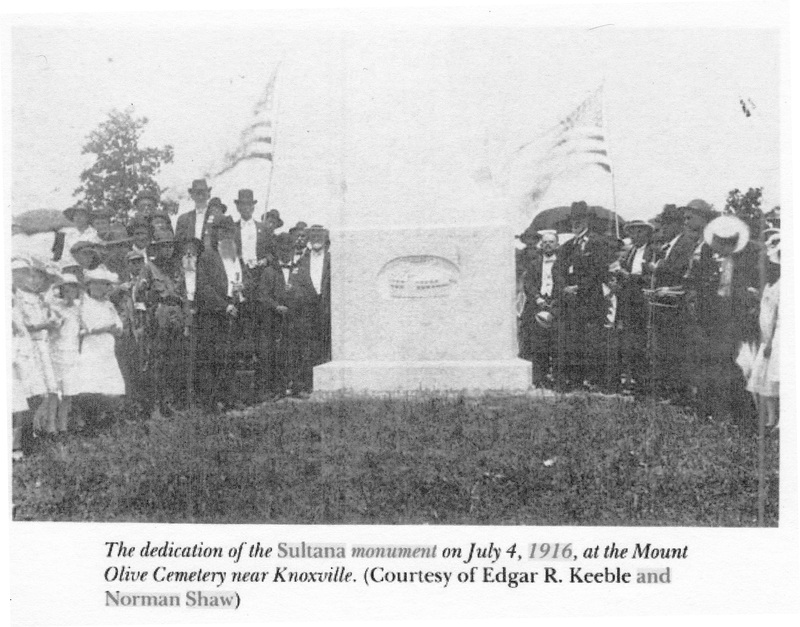 In 1987, Knoxville attorney Norman Shaw, not a Sultana descendant, started the Association of Sultana Descendants and Friends. The group has met annually in Knoxville and other relevant cities since its formation. 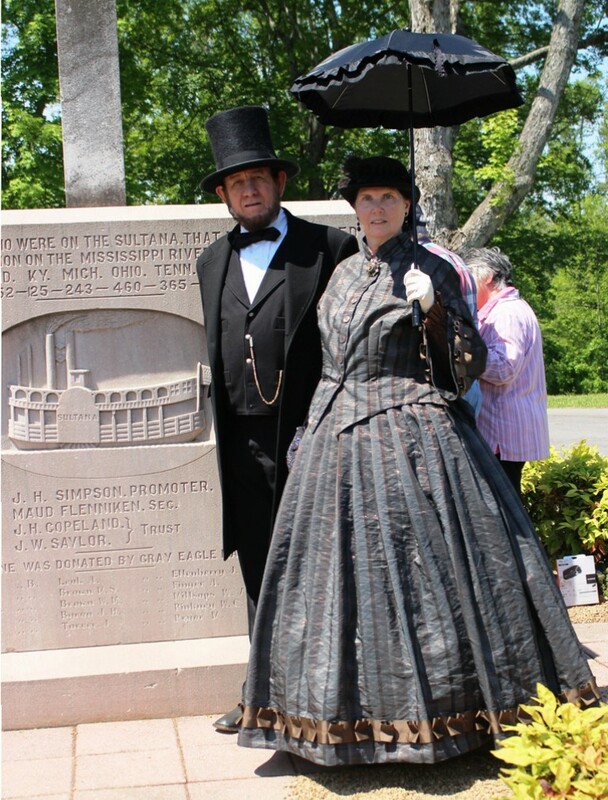 In 2014, the McTeer Camp of the SUVCW made the commitment to present and sponsor a re-dedication of the monument with both dignity and ceremony along with finding as many descendants of those who were on the Sultana as possible to be in attendance. 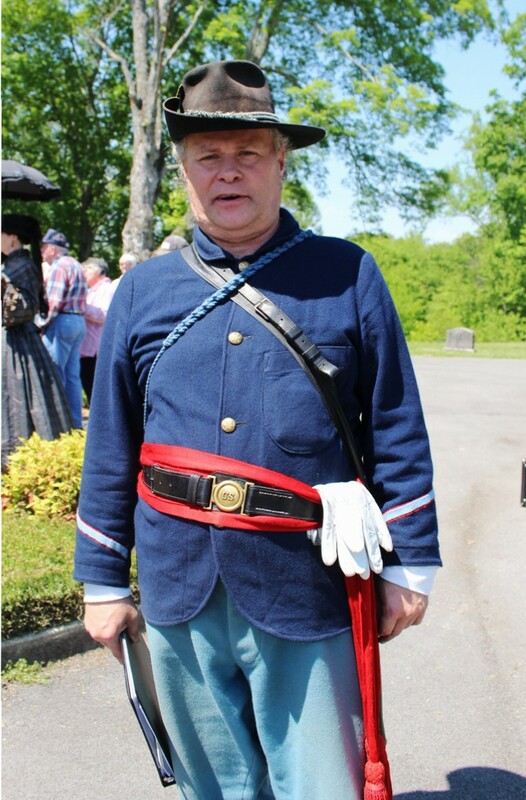 On May 3, 2015, the re-dedication ceremony was performed with more than 150 in attendance of which at least 43 indicated that they were a descendant of a Union soldier on the Sultana that fateful day. 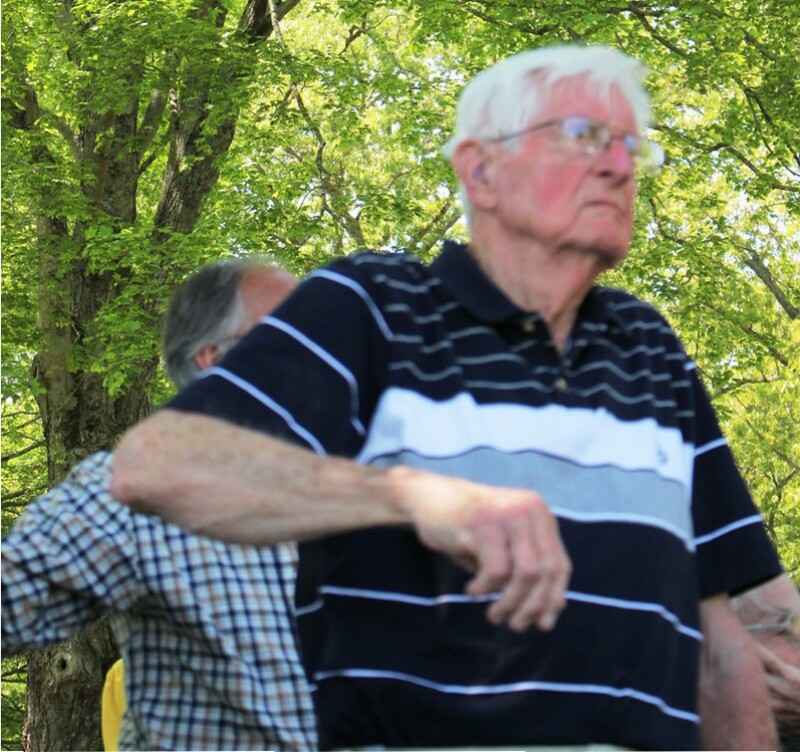 The event was fortunate to benefit from good weather – it was sunny and quite warm for early May. The crowd gathered mostly in the shade of the cemetery. 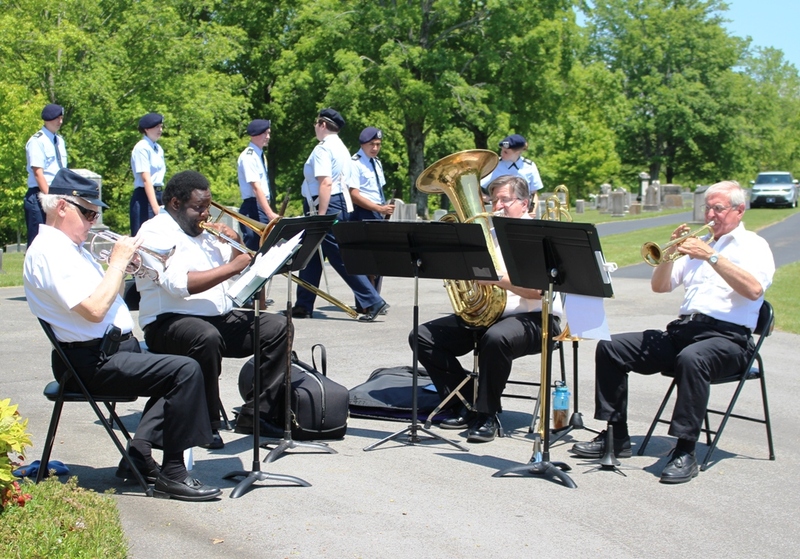 The Craggy Top Brass, which includes Camp JVC Steve Wallace, started the event with a prelude of period music. 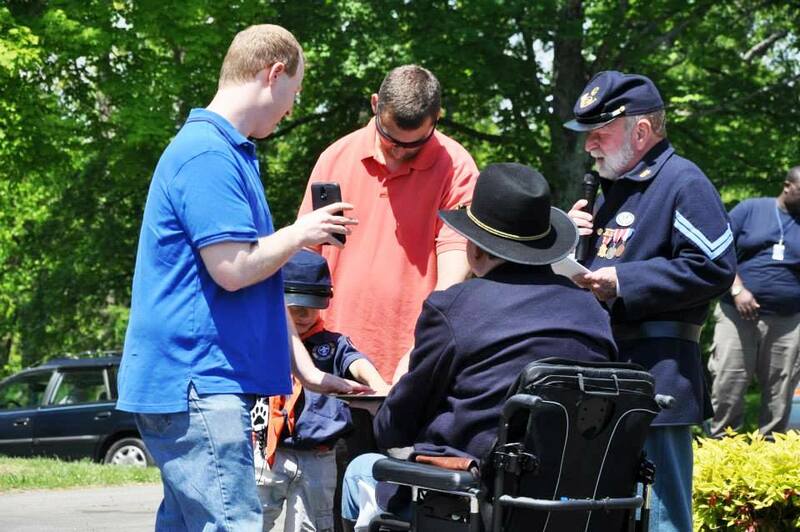 Mike Downs, Commander of the Department of Tennessee, greeted the guests and then initiated four new members into our camp, including two new junior members: Cub Scout Garrett Chapman and Paddy Fitzsimons, who joined the event via Skype from Belfast, Northern Ireland. The other new members initiated were Joseph McReynolds and Patrick Chapman. Norman Shaw then gave a very informative presentation that set the historical perspective for the event as well as the history of the survivors and the descendants of those who were on the Sultana. 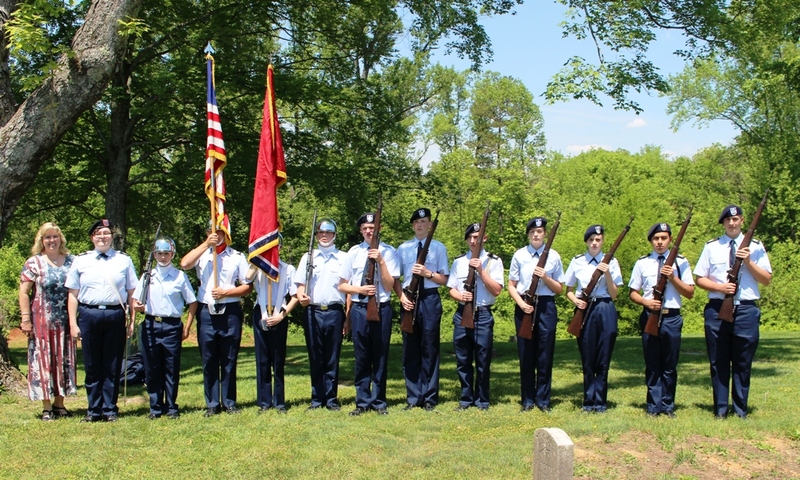 After the educational presentation, Camp Commander David McReynolds led a Memorial Re-dedication ceremony adapted from that of the Grand Army of the Republic that included the wonderful Color Guard and Firing Team of the William Blount High School Air Force Junior ROTC program led by senior instructor Colonel Carmella Lawson, USAF (ret.). 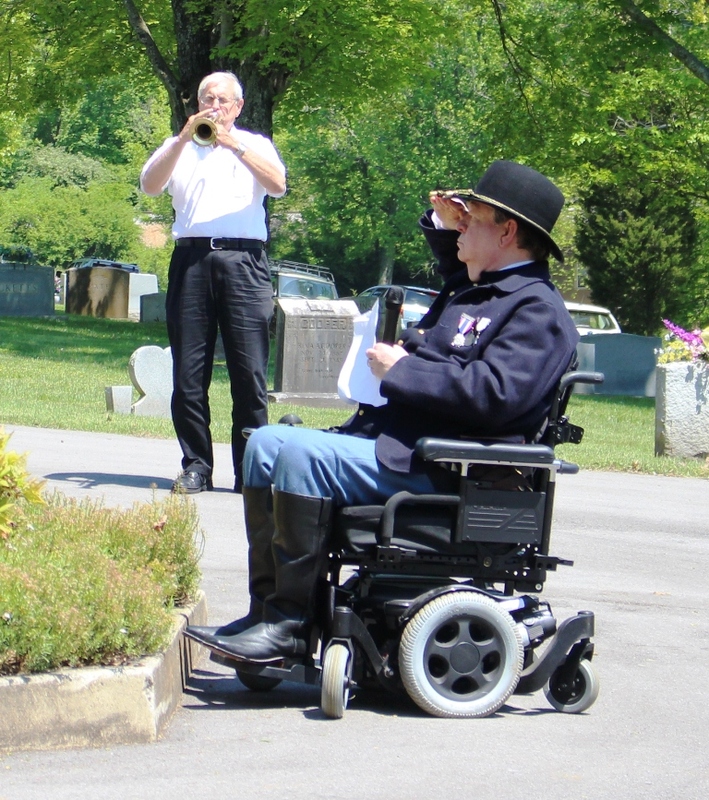 The Craggy Top Brass beautifully performed the “Star Spangled Banner” and one trumpet played “Taps” after the 21-gun salute by the Firing Team. 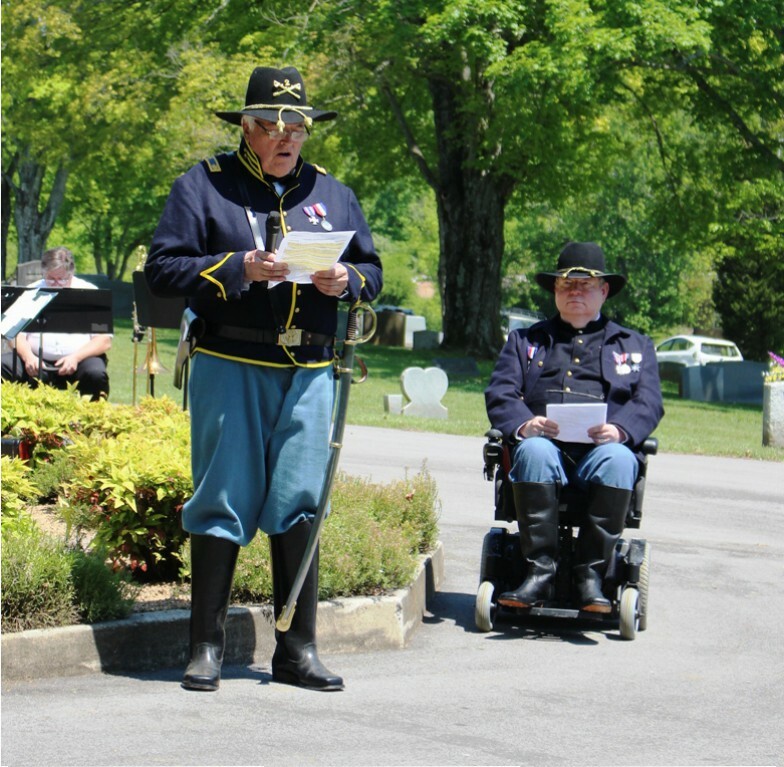 Past Camp Commander George Lane recited a prayer of re-dedication and William “Dewey” Beard presented a benediction in song with a medley of “Tenting Tonight” and “Battle Cry of Freedom”. 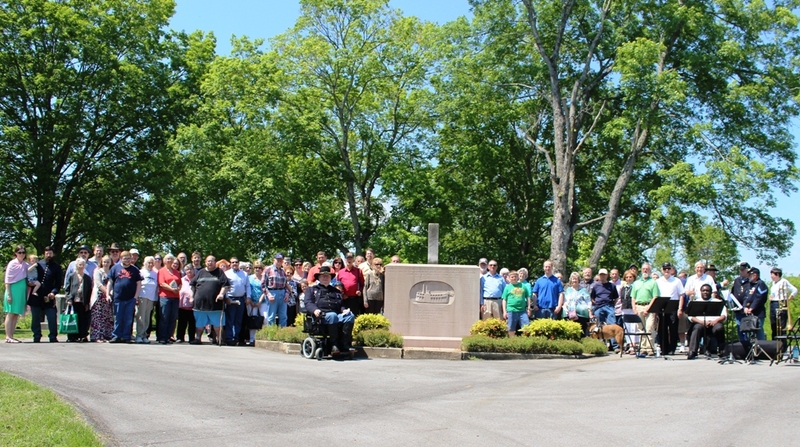 Afterwards, as the Craggy Top Brass performed a postlude, we gathered as many attendees as we could for a “group photo” reminiscent of the one taken in 1916 when the monument was originally dedicated.